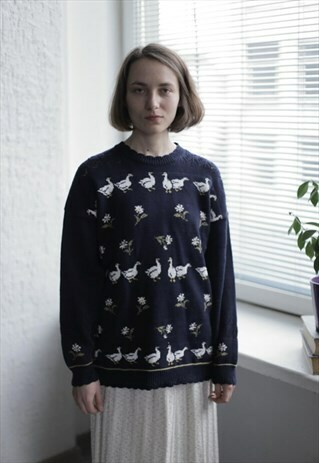 Lovely vintage 80's navy goose jumper. Made in UK. UK size written 14, but looks flexible. Model size on the photo is 8. Measurements: length 27 inches, sleeve 19.5 inches, chest 43 inches, waist 41 inches.